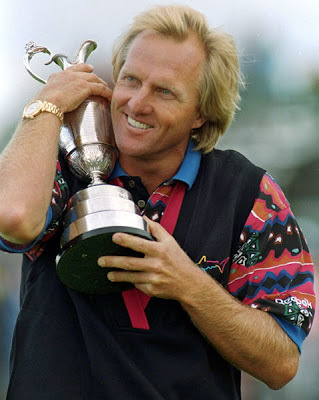 This photo was taken in 1993 just after Greg Norman won his third British Open. Guess who the leader in the clubhouse is after his second round of the 2008 Open? You got it, none other than "The Shark" himself. After just marrying former tennis great Chris Evert, I'd say this is a shaping up to be one heck of a honeymoon!